Have you ever used a scented product that resulted in itchy, red, or blotchy skin? Or have you had a rash that’s hard to predict or control that you suspect might be caused by products in your home? If so, you are not alone. Millions of people in the U.S. have been sensitized to ingredients in fragrance, making them predisposed to allergic reactions like contact dermatitis. In fact, “fragrance allergy” is one of the most common diagnoses among dermatology patients. Chemicals used in fragranced products—such as phthalates—have been associated with reduced sperm count and reproductive problems. If you are diagnosed with a skin allergy to fragrance, or want to avoid fragrances for precautionary health reasons, how can you avoid them? It’s a lot tougher than you might think. Because the fragrance industry is extremely competitive, the actual ingredients in a fragrance are usually kept secret. Again, you’ll only ever see them listed on a product label as “fragrance” or “parfum.” So you can almost never tell whether a particular fragrance might contain an allergen or toxic chemical that affects you. Some fragrance-allergy patients are able to find scented products they can tolerate, but it can be a difficult and painful trial-and-error process. 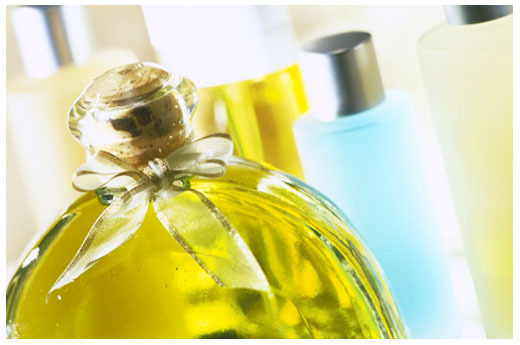 So, how can you avoid fragrance allergens or other hidden harmful fragrance chemicals? 91 percent of antiperspirants contain fragrance. And although lotion use is commonly recommended to prevent dry skin conditions, 83 percent of lotions contain fragrance, which can predispose you to allergic skin reactions! Unfortunately, going fragrance free can be time-consuming and expensive, and can leave you and your family with few options for products you might like to use. The biggest problem with fragrance is the secrecy that surrounds them. Due to the proprietary nature of fragrance ingredients, healthcare providers are limited in their ability to assess and diagnose which specific allergens are of greatest significance. If consumers knew what their problem allergens were, and could tell from a label if a product contained them, they would have a much easier time finding products they could tolerate without symptoms. Similarly, consumers looking to avoid specific toxic chemicals of concern can only do so if those ingredients are disclosed. Which is why I believe fragrance ingredients, including allergens, should be disclosed to consumers to allow them to protect their health and avoid the specific substances they wish to avoid. And safer alternatives should be found for toxic chemicals that put our health at risk. So, let’s send a letter to the fragrance industry asking them to disclose fragrance ingredients to their customers. Visit Women’s Voices for the Earth, to download the full report Secret Scents: How Hidden Fragrance Allergens Harm Public Health, view the Secret Scents infographic, and find out how we can make our voices heard. 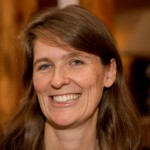 Alexandra Scranton is the Director of Science and Research at Women’s Voices for the Earth (WVE). Alex authors WVE’s scientific reports and provides scientific review for the organization’s programs. Prior to working at WVE, she worked in the epidemiology and statistics unit at the American Lung Association headquarters in New York. She has a Masters degree in Environmental Studies from the University of Montana and a BA from Amherst College. Alexandra lives and works from Pullman, WA, with her husband and two beautiful daughters. platform? I’m new to the blog world but I’m trying to get started and create my own. Every land has to be saved from this disaster creating menace. Infestations caused by creatures must not be ignored nor overlooked. soil and supply you with the best eggs you’ve ever eaten.